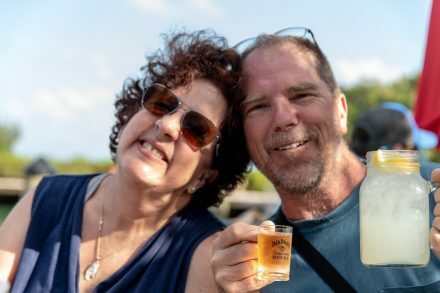 Being away on vacation and enjoying lots of yummy food and new restaurants, it’s made us aware of how important it is to connect our guests with the dining experience that will complete our guest’s stay and make their Cape Cod holiday a memory of a lifetime. On our southern vacation this year we rented two wonderful beach homes and because we are at the age when we have to watch what we eat, we have eaten most of our meals in-BUT- we have treated ourselves to a couple of meals out a week, and I have spent time on Trip Adviser sourcing out the perfect place to dine for what we were in the mood for that day. Some nights we wanted super casual and to watch the sunset, other nights we wanted casual fine dining that was romantic and special. 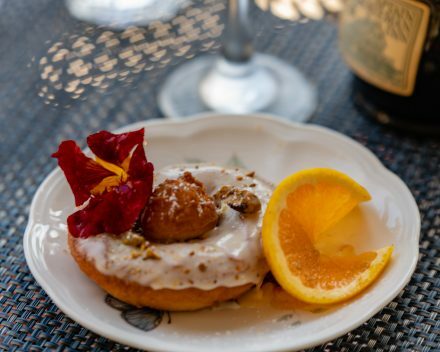 It’s those restaurant that I want to source out for you in this blog so that you can enjoy not only great food but a romantic experience too! 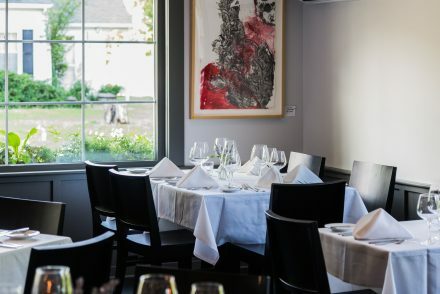 A springtime visit to Cape Cod may also include some great dining values as our Cape Cod Restaurant Week is coming up on May 29th – June 4th. The web site will soon be updated with all the the restaurants included in the springtime food celebration- many of our favorites join in! Because just about everything on Cape Cod is casual, when guests ask us what attire to wear, most of the restaurants we recommend are business casual. What I love about that – if you just arrived and are in your casual clothes and want to eat something right away, we have the perfect place for you. If you are celebrating a special birthday or anniversary and want to get dressed up, we also have the perfect place for you, and in most instances it’s the same restaurants as you can dress up or down and feel very comfortable either way. 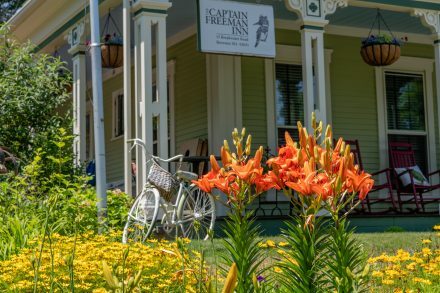 We love that about Cape Cod and feel that our inn, the Captain Freeman Inn is the absolute best place to stay on Cape Cod where you can enjoy a romantic meal as well as a remarkable stay- our tag line is “fine lodging is in the details” and we pay attention to all of the details that make your stay perfect, including linking you up with great dining. Our new Concierge Page is filled with detailed restaurant information and links. It is a free service that can be used on your phone, your home computer or on our tablet in our relaxing parlor. No matter where you decide, it’s a great resource to plan your getaway. Listed below are 11 of our favorites! Most of these restaurant are popular so we like to get your reservations planned in advance. Whenever our children visit they always want to go to Bucas! We understand why as this restaurant is special! The menu is Northern Italian with lots of seafood and Italian wine choices. The only complaint we ever hear is that they give you too large portions:) The atmosphere is very romantic and a perfect place to go for a special anniversary or birthday. We have a favorite table- the CFI table as it’s been known to be called, and it is in front of the fire place and is so romantic. We love to make your reservations in advance as they are filled almost every evening of the year. If you call yourselves Martin will most surely answer the phone and make sure to ask for our favorite table. This restaurant has both the ocean views and delicious cuisine. They do Open Table and fill up sometimes months in advance. The food is New American with an Oriental infusion. The presentations are over the top and we have never had a bad meal here. Only complaint we ever hear about is the noise level. 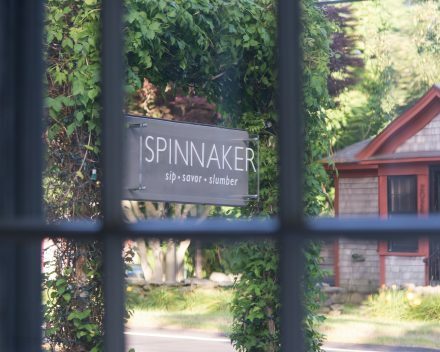 This restaurant is an icon in Brewster. 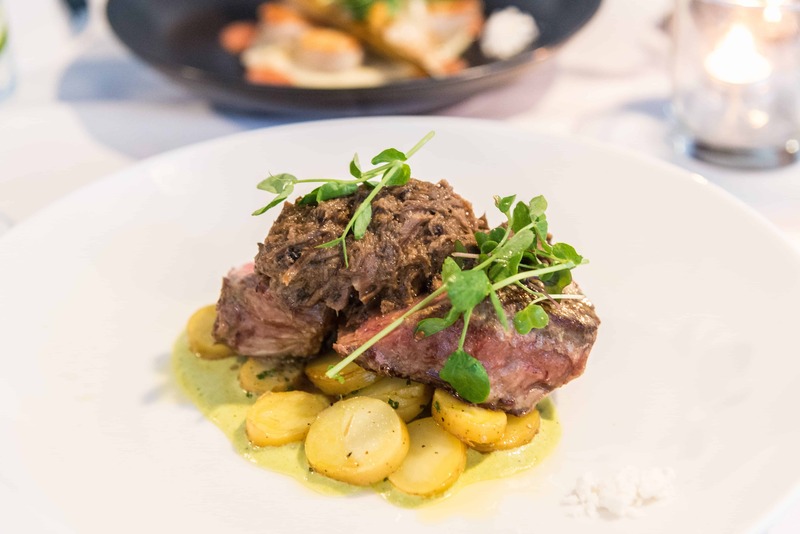 Rated in the “top 50” by Zagat, “this unassuming cottage garners raves for its outstanding contemporary menu.” They do not accept reservations and will not make any changes to the existing menu. For those with a hearty appetite the portions can be somewhat small. 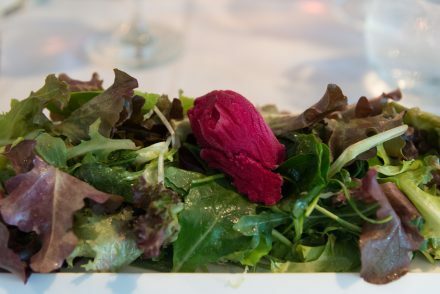 This French restaurant in Wellfleet is the perfect place to go for a romantic evening. You can see the formal chefs though a glass window with their tall chef hats. Everything French including a perfectly cooked roasted chicken and fabulous desserts. In the summer time there is a covered outdoor dining area and in the winter a fire pit to warm by until your table is ready. Reservations suggested. If you are looking for a little adventure and do not mind an hour drive to and fro- the Mews is really fun. It has water views and is located on the fun Commercial Street in P’Town. They specialize in having 100’s of different kinds of vodka and the food consistently delicious. A popular spot so reservations are needed. Vers, meaning “fresh” in Dutch, is a vibrant and casually elegant restaurant, perfect for a special occaision, offering a modern American menu that embraces regional seasonality and freshness. We went for my birthday with our daughter and had a wonderful evening. Their Death by Chocolate is a wonderful treat for dessert. We love this restaurant as their food is unique and very flavorful. The formal description of their food is Mediterranean with a Thai infusion. I love their Lobster Shrimp Pad Thai. Reservations needed. Try the Malabi and black rice pudding for dessert- it’s outstanding. If you enjoy adventuresome dining this restaurant is for you. We love to go for special occasions and later see a play at the Wellfleet Playhouse which is close bye. The building is quite unique and has rustic brick-walls in a former blacksmith shop. Reservations needed. 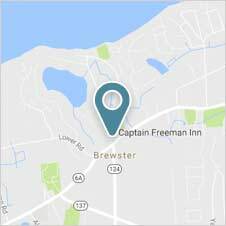 The Captain Freeman Inn was just awarded the prestigious 2019 Traveler’s Choice Award from Trip Adviser that places the Captain Freeman Inn in the top 1% of hotels in America. Check out our boutique guest rooms and decide which room will be perfect for your stay. 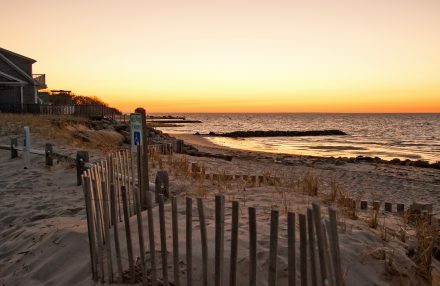 Our free Concierge page is also a wonderful resource to ponder over which restaurant will be perfect for your Romantic Getaway to Cape Cod. 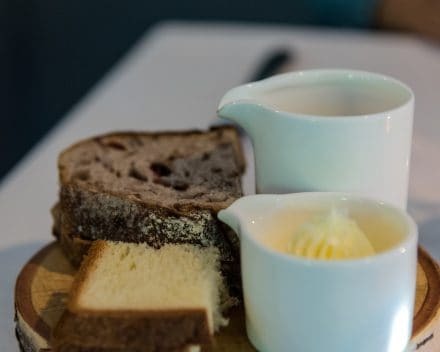 We also are renowned for OUR Farm to Table breakfasts which include our homemade raspberry jam, homemade donuts, muffins and bread and so much more. 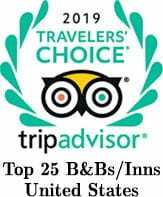 It’s a special time of the day to relax, visit with your innkeepers and plan an exciting day on Cape Cod, either relaxing on the beach or exploring our wonderful area.